The New South Wales (NSW) government has launched a renewable energy map to help drive investment into the Australian state. 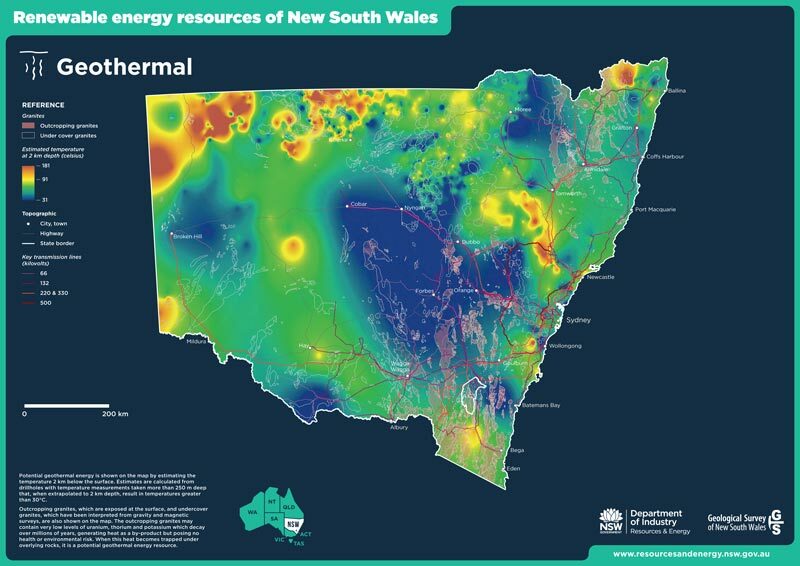 The NSW Renewable Energy Resource Map provides renewable energy project developers with free access to geospatial data and information on the state’s renewable energy resources and highlights more than 201 sites across NSW. The application is apparently the first comprehensive renewable energy resource map covering the entire state, detailing its resources potential and detailing existing infrastructure for solar, wind, geothermal, bioenergy, hydropower and marine resources. Oil and gas companies have earned a bad reputation through their drilling practices, yet their advances in drilling technology that have made possible the extraction of oil and gas from super-deep wells have also been highly beneficial to the exploitation of renewable resources, and more specifically geothermal energy. The high temperature environment and the highly fractured rock in geothermal regions make drilling and completion very complex, most notably in the selection of tubular, downhole tools, and cementing materials. Geothermal drilling is still a small fraction of the activity of oil and gas companies, so much of the possible developments in advanced drilling and completion technologies for geothermal applications remain only a potential. The approach of exploiting geothermal energy is very similar to that employed by oil and gas companies, which have been drilling wells of depths greater than 10 km. Such geothermal projects represent an opportunity for oil and gas companies to advance in technological development and diversify their revenue sources. 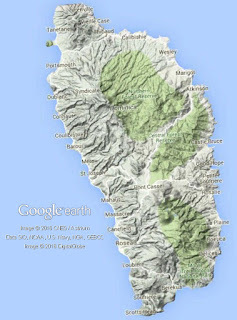 Honorable Minister for Energy, Ian Douglas, has declared that Dominica has the resources to build a geothermal development program as a country. The Energy Minister supported the decision made by the Honourable Prime Minister and Finance Minister, Dr. Roosevelt Skerrit, to establish a domestic geothermal plant through a special purpose vehicle (S.P.V). The Honourable Prime Minister during his presentation stated that government will establish a company to build a seven megawatt geothermal plant in two stages of three point five megawatt each. According to preliminary data from the Centro Nacional de Control de Energía, which is part of the Instituto Costarricense de Electricidad (ICE), electricity production based on clean, renewable energy sources was close to 96.4% during the first half of 2016. In spite of the drought affecting Costa Rica most of the first six months of the year, the bulk of the electricity came from hydro (69.4%); the rest from geothermal (13.4%), wind (12.2%), biomass (1.4%) and solar (less than 1%). A total of 4,242.6 Gwh were generated in the country during this period; only about 3.6% came from fossil-fuel burning plants. According to ICE’s Executive President, the 96.4% was reached mainly because of the very high clean generation during June, i.e. about 99.6%. He added that at the end of 2016, in Costa Rica only 2% of the electricity may be produced from burning fossil fuels. Taiwan-based Industrial Technology Research Institute (ITRI)’s ProAu provides a bio-adsorbent that effectively recovers gold in the form of nano-particles from industrial wastewater and geothermal streams at sub-ppm levels, bringing us new gold mines while contributing to a sustainable world we can all thrive in. 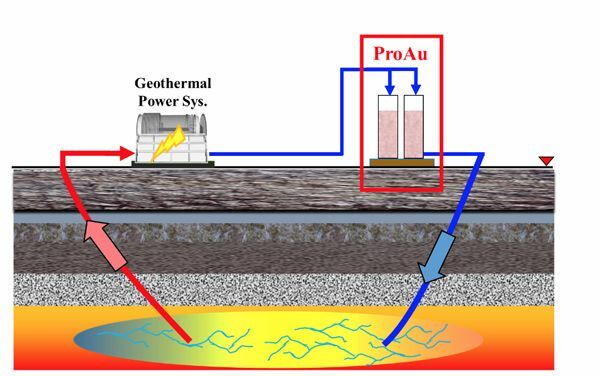 This technology can also be used for recovering gold from geothermal fluid. Since this mining operation has a potential to integrate with the geothermal power generation, it may generate extra revenue on top of geothermal energy itself. hydrocarbon production in the Williston Basin. “I anticipate that the drilling rig group will arrive on the island sometime mid-August around about the 20th,” he said. The Inter-American Development Bank (IADB) presented the proposal of carrying out a project of exploration and certification of geothermal energy reserves in the country. Mr. Carlos Melo, IADBs representative in Nicaragua, has presented to the local media the proposal which aims to carry out a project of exploration and certification of geothermal reserves in the country. The purpose of the project is the promotion of the alternatives for the generation of renewable energy, as well as the consolidation of the sector and the promotion of foreign investment in the country. Likewise, Mr. Melo has exposed that the project will have an approximate cost of up to USD $ 60 million dollars and that public and private partnerships are expected for its execution. Indonesia’s geothermal resources are among the largest in the world, with 299 geothermal locations and a total potential of 28,807 MW, or around 40 percent of the total geothermal resources worldwide, according to a September 2014 press release from Indonesia’s Directorate General of Geothermal. In order to utilize this enormous energy potential, the Government of Indonesia (GOI) has intensified its efforts to encourage geothermal power development. Some background to the regulatory climate will put these developments in perspective. Despite the efforts by the Indonesian government to date, the geothermal sector in Indonesia is still underdeveloped. This is primarily the result of a number of outstanding challenges that have not yet been resolved by the GOI, particularly with respect to the feed-in tariff of geothermal electricity, which many investors consider unattractive in view of the high capital requirements needed to develop a geothermal working area in Indonesia. This factor alone may hinder the GOI’s efforts to add 35,000 MW of electricity throughout Indonesia by 2019, 4,815 MW of which is intended to come from geothermal resources, according to the Power Supply Provision Business Plan 2015-2019, as ratified by the Minister of Energy and Mineral Resources. The U.S. Department of Energy (DOE) has announced the selection of eight new research and development projects to receive a total of $11.5 million in federal funding under DOE’s Subsurface Technology and Engineering Research, Development, and Demonstration Crosscut initiative. The new projects are focused on furthering geothermal energy and carbon storage technologies, and will be funded by the Office of Energy Efficiency and Renewable Energy’s Geothermal Technologies Office (GTO) and the Office of Fossil Energy’s (FE) Carbon Storage program. The projects selected under the second objective will develop new approaches to characterize and image subsurface systems. Development of a Novel, Near Real Time Approach to Geothermal Seismic Exploration and Monitoring via Ambient Seismic Noise Interferometry: Baylor University (Waco, TX), the University of Nevada–Reno, and Hi-Q Geophysical Inc.. DOE: $879,802. Geothermal Fault Zone Dilatancy and Fluid Imaging through Integrated Geophysical, Geological, Geochemical and Probabilistic Analysis: The University of Utah (Salt Lake City, UT), Quantec Geoscience Inc., and Geotech Ltd.. DOE: $620,000. A Novel Approach to Map Geothermal Permeability Using Passive Seismic Emission Tomography and Joint Inversion of Active Seismic and EM Data: U.S. Geothermal Inc. (Boise, ID), Lawrence Berkeley National Laboratory, and Optim Inc.. DOE: $1,497,016. Location is strategically placed near sources of lithium in Nevada and Southern California that could be produced from geothermal brine. 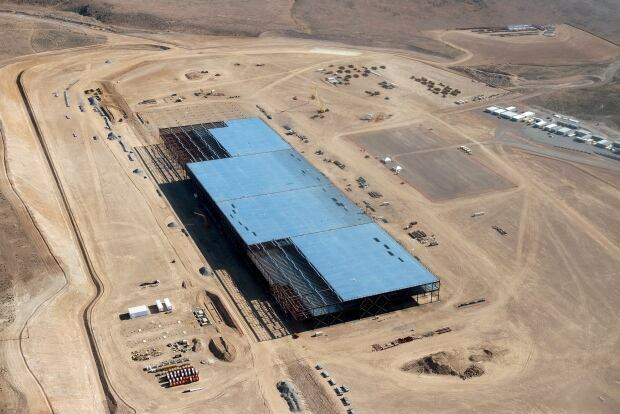 It's Tesla Motors' biggest bet yet: a massive, $5 billion factory in the Nevada desert that could nearly double the world's production of lithium-ion batteries. Tesla officially opened its Gigafactory on Tuesday, a little more than two years after construction began. The factory is about 14 per cent complete, but when it's finished, it will be about 93 hectares (10 million square feet), or about the size of 262 NFL football fields. That will make it one of the largest buildings in the world. The company says making its own lithium-ion batteries at the scale the Gigafactory will allow it to reduce its battery costs by more than a third by 2018. Inside the factory, Tesla's partner, Panasonic Corp. — which has invested $1.6 billion US into the factory — is installing machines in sealed, humidity-controlled rooms that will start making battery cells before the end of this year. The International Geothermal Association have announced the results of the election for the IGA Board for 2016-2019. 31 IGA members were elected including 8 members of the GRC. Italian company Ansaldo Energia has received Notices to Proceed on two contracts signed late in 2015 worth a total of about 80 million euros. One covers the total refurbishment of a 30 MW geothermal plant located in Kamojang in western Java. Ansaldo Energia is acting as EPC and supplying the geothermal steam turbine and relative air-cooled generator. The customer is PT PLN company Indonesia Power. The two contracts increase the total geothermal output installed by Ansaldo Energia in the area to 270 MW. The consortium of Basic Energy Corp. and Trans-Asia Oil and Energy Development Corp. is on track to complete the drilling of Mabini geothermal power project in Batangas by September. Basic said in a disclosure to the stock exchange on Monday once drilling reached a depth of 1,500 meters, testing at Mabini geothermal project would follow. Basic Energy senior vice president Anthony Cuaycong said drilling was projected to reach 78 days from spud date of June 15. “The anchor casing has been installed at a depth of 373 meters, allowing coring operations to commence at that depth, to reach a target depth of 1,500 meters,” Basic said. Core drilling operation reached a depth of 409 meters as of July 20, 2016. “The well is projected to validate the geothermal resource that would be capable of fueling a 25 MW power plant,” it said. 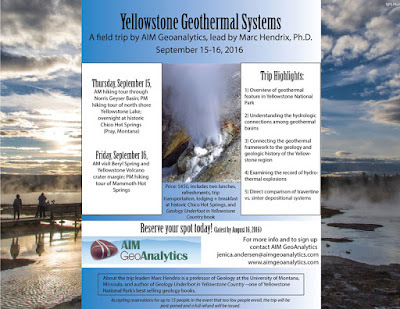 Preliminary Program for the Geothermal Energy Event of the Year! The Navajo Transitional Energy Co., or NTEC, moved closer to adding renewable energy development to its energy portfolio after Tohatchi Chapter approved a feasibility study for the company's proposed geothermal project at a hot springs on the east side of Tohatchi. Tohatchi Chapter members on June 22 passed a resolution that gave the go-ahead for NTEC to seek "resource exploration" and the study. NTEC spokesman Erny Zah said the entity plans to spend approximately $84,600 on the study, which is being led by graduate students from the Colorado School of Mines in Golden, Colo.
Last fall, NTEC established a partnership with the school to develop the project, which would also add jobs and support student research and project collaboration by Navajo Technical University students and faculty, according to GRC Board Director Masami Nakagawa, Colorado School of Mines associate professor. Preliminary tests of the subsurface water bubbling up in Tohatchi showed it is about 38 degrees Celsius, or 100.4 degrees Fahrenheit, not quite warm enough to produce power without help, Nakagawa said. Don't miss out on the early bird discount and register for the largest annual geothermal conference in the world, the GRC Annual Meeting and GEA Geothermal Energy Expo. Log on with your GRC Member ID and Password or create one if you are not in our database. Click on " Register Myself"
*Please Note: For online registrations, you will need your login id and password or you can create one if you are not in our database. If you do not know your login id or password, please contact the GRC office by phone at (530) 758-2360 ext 100 or by email at alay@geothermal.org. GRC Twitter Feed Reaches 3,300 Followers! The Twitter feed of the Geothermal Resources Council has reached the milestone of 3,300 Followers! 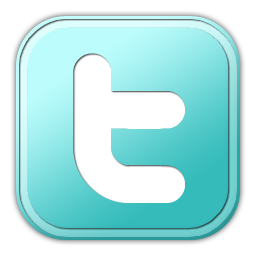 Launched in June 2011, The Geothermal Resources Council (GRC) has posted almost 11,000 Tweets, short 140-character messages, on the GRC Twitter website attracting over 3,300 followers and in turn following the news and information from over 2,400 sources. As the oldest information and education association in the global geothermal energy community, the GRC is the trusted source for the latest geothermal energy news. Thanks for all our followers in the global geothermal community for your continued support. Renewable energy is attracting more attention and more investment because Renewable Portfolio Standards have been implemented in several states to reduce energy produced from traditional fossil fuel energy plants that are known to emit excessive carbon into the atmosphere. Renewable Portfolio Standards require increased production of energy from renewable energy sources, such as wind, solar, and geothermal. A few examples of states taking action to create more energy from renewable sources are California, Nevada, and Oregon. Governor Brown signed into law SB-350 that requires 50% renewable energy by 2030, the closure of 2,200 MW San Onofre nuclear power plant, and the retirement of 19,000 GWh of coal burning power plants. Nevada SB-123 requires closure of ~1200 MW of Coal plants replaced with at least 600 MW of renewables. Oregon SB-1547 requires 50% renewable energy by 2040 and discontinues coal generation by 2030. Geothermal generation for FY16 was the company’s highest ever at 2,830 GWh (up 2% on FY15) due to availability of 95.5% over the year and the impact of the turbine replacement at Nga Awa Purua. For the quarter, geothermal generation was down slightly on pcp to 702 GWh, due to maintenance activity at Ngatamariki. Valemount is an ideal candidate for direct-use geothermal energy, according to a report released by Geoscience B.C., as it suggests the Village of Valemount is at an advanced stage in planning for direct-use geothermal heat. The report states, “Very few communities in B.C. have considered direct-use geothermal energy,” but Valemount is an exception. “Valemount is one of the most progressive communities when it comes to geothermal… It is the poster child,” says Carlos Salas, vice president of energy for Geoscience B.C. Sandia National Laboratories and a commercial firm have designed a drilling tool that will withstand the heat of geothermal drilling. The downhole hammer attaches to the end of a column of drill pipe and cuts through rock with a rapid hammering action similar to that of a jackhammer. Downhole hammers are not new — the oil and gas and mining industries have used them since the 1950s — but the older design, with its reliance on oil-based lubricants, plastic and rubber O-rings, isn’t suited for the hotter temperatures of geothermal drilling. “The technology behind the new hammer is fundamentally the same, but Sandia worked with Sweden-based Atlas Copco in material selection and dry lubricant technology that will work in the high-temperature environment,” said mechanical engineer Jiann Su, Sandia’s principal investigator on the project with Atlas Copco, which operates worldwide and makes specialized equipment and systems for drilling, mining and construction. 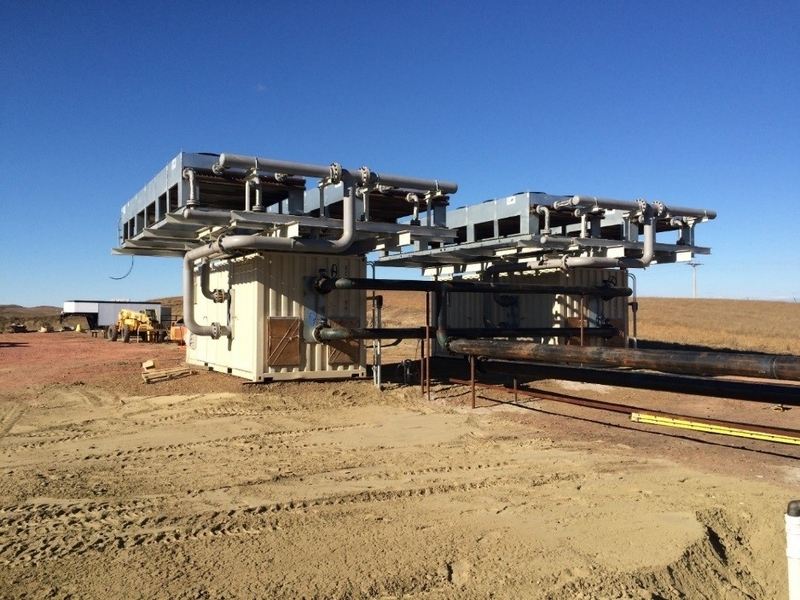 The Department of Energy (DOE) Geothermal Technologies Office funded Atlas Copco as prime contractor on the project, and the company partnered with Sandia as the subcontractor. Join us for a 2-day workshop focusing on early drilling in greenfield project areas, including strategies for managing risks and how to obtain the best information for understanding and evaluating a geothermal resource. 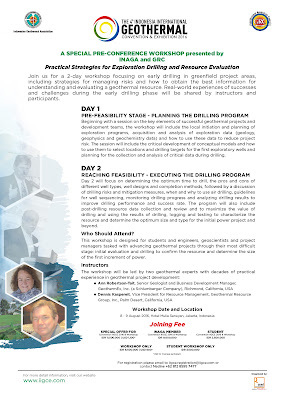 Real-world experiences of successes and challenges during the early drilling phase will be shared by instructors and participants. A special two-day GRC Workshop is to be held before the 4th Indonesia International Geothermal Convention and Exhibition (IIGCE) 2016, to be held from 10-12 August 2016 at the Jakarta Convention Center (JCC). The Board of Directors of the European Investment Bank, representing the bank’s 28 EU member state shareholders, as well as the European Commission, today approved EUR 9.4 billion of new financing for 56 projects across Europe and around the world. Today, Salt Lake City Mayor Jackie Biskupski, members of the City Council, other city leaders, and members of the business and non-profit community gathered on the steps of City Hall to launch Salt Lake City’s initiative to transition the community to 100% renewable energy sources by 2032 and to reduce carbon emissions citywide by 80% by 2040. 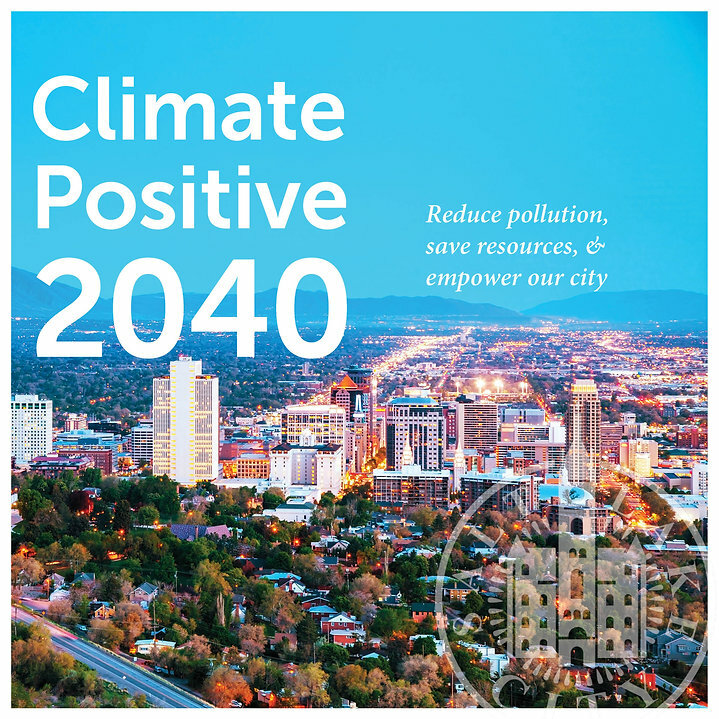 The commitment, called Climate Positive 2040, comes as a result of a Joint Resolution signed by Mayor Biskupski and the Salt Lake City Council on Tuesday. 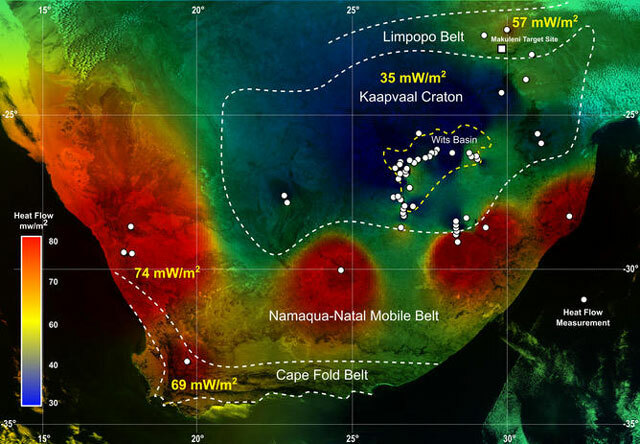 While geothermal energy is renewable and can be used for baseload supply, the major challenge surrounding this type of energy in South Africa is that geothermal exploration is expensive, which is why it has yet to be undertaken in the country, says Royal Haskoning energy consultant David Johnson. Speaking at the PowerGen Africa conference in Sandton, Gauteng, on Wednesday, Johnson added that most of South Africa had very low geothermal potential, owing to the country’s temperate climate. Johnson added, however, that there were potentially suitable resources in South Africa, owing to the presence of hot springs in the country. The Geothermal Resources Council (GRC), Geothermal Energy Association (GEA) and Geo-Exchange Organization (GEO) have released guidance for another state on meeting new clean energy standards from the U.S. Environmental Protection Agency (EPA). The free state-by-state guides walk through the benefits and uses of three major types of geothermal applications: power generation, direct use and heat pumps, and initially cover Arizona, California, Oregon, Montana, Nevada, Idaho, Colorado and Utah. A guide for New Mexico is now available (PDF).